Thanks to its unique position, Prague Zoo is considered one of the most beautiful zoos in the world. The rugged terrain offers over 10 km of walking trails through such exotic exhibitions as the Africa House, the Indonesian jungle, or the Valley of the Elephants. This beautiful slice of nature is a popular destination for families with children who can pet and feed animals at the Children's Zoo. Prague Zoo offers you exciting things to do all day. You can enjoy your time here with a guide and if you feel hungy you can head to one of the restaurants. Furhtermore, there is a geotrail, an exhibition gallery, the sigtseeing path Zakázanka or unique Gočár´s Houses. For a day, you can become a keeper if you wish. For children, there is a special Children´s ZOO, the unique play area called Bororo Reserve and other smaller playgrounds as well as an observation tower. There is also a chairlift. Of coarse, they can ride a ponny, a minitrain or a children´s tram. The Zoo also offers special entertaining programme such as feeding of giraffes and camels or making paper from elephant dung. Last but not least, you can borrow a cart or stroller and there are also changing tables. We will advise you to reach the zoo with a boat or ferry. For other options please look here. Please consider, that the ZOO is more crowded on weekdays. Information about admission fee here. Prague Zoo had predecessors in the form of various menageries. The Lion's Court at the Prague Castle at the time of Rudolf II was probably the most famous, It did not only breed lions as heraldic animals (a lion, a symbol of strength and courage was adopted as an attribute of the Czech state), but also other unique species such as orangutans and allegedly now extinct Dodo. Later somewhat unprofessional attempts were made to establish zoological gardens in different places - in Stromovka in the Garden of Eden, in Letná, in Štvanice in Vrchlického orchards or in the Kinsky garden but they always failed. The first zoo in the Czech Republic was established in 1919 in Liberec thanks the German Science Association. The Prague zoological garden on a high professional level is credited to Professor Jiří Janda, an excellent zoologist and ornithologist, author of works on vertebrate animals, especially birds, biology high-school teacher and a member of the advisory board of the Ministry of Education. In 1921 he was commissioned to draw up a proposal for establishing a zoological garden in Prague and after its establishment it became its first director. In 1924 he chose the area in Prague-Troja as a place for the future ZOO. 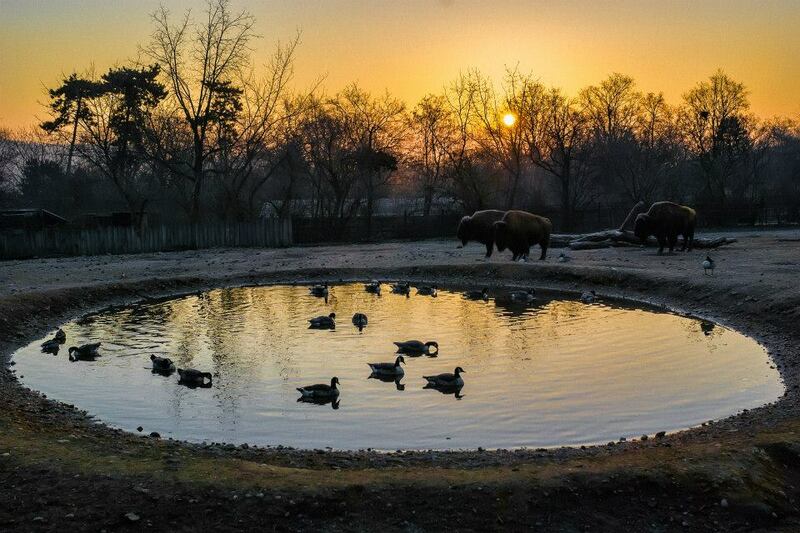 In 1926 the Commercial, Purchasing and Building Cooperative ZOO was established as the investor and operator. Lands were donated to T. G. Masaryk by the Troja landowner, Mr. Svoboda, with the aim of establishing educational facilities for poor agricultural youth. This donation consequently enabled the construction of the zoo on the original 8 ha area in Troja. The garden was opened to the public on 28 September 1931. At that time the ZOO had over 200 individual animals. In the beginning the ZOO garden was constructed by the project of the Hagenbeck Project Office. By 1933 the office building and the pavilion of felines were built. At that time the construction works were managed by arch. Jiří Fuchs, a leading functionalism architect (e.g. Trade Fair Palace). In 1932, the first Przewalski’s horses came to the ZOO, which have become its symbol; in the following years the Prague ZOO gradually became the world’s number one in terms of their breeding. They have been bred here continuously with a great success thanks to Professor Bílek. In 1959 the Prague ZOO was appointed to keep the studbooks, i.e. the inventory of all living Przewalski’s horses, which have completely disappeared from the wild. The Prague zoo definitely greatly contributed to the fact that this zoological specimen is not extinct. In the years following the opening of the garden the Prague ZOO acquired the first cheetah, Asian elephant, hippopotamus hippopotamus, rhinoceros rhino and pygmy hippopotamus. In 1936 the pavilion of beasts was completed, in 1937 the first American condor was reared here and in 1940 the Prague ZOO as the first ZOO in the world managed to rear a polar bear. In 1954 the ZOO was transferred from the hands of cooperatives under the administration of the state. From 1947 to 1949 new pavilions of monkeys and rare mammals were built and in 1956 the pavilion of waterfowl was built here. In 1950 the Prague ZOO had the first chimpanzee, in 1961 it had the first orangutan and in 1963 it had the first gorilla. In 1969 the ZOO managed the first rearing of clouded leopards in Czechoslovakia and in 1972 the first rearing of cheetahs. At the same time a new pavilion of elephants, hippos and rhinos was opened. In 1981 hippo twins were born; other most valuable results include breeding of the forestry dog and especially rearing of Cuban iguana, the Prague ZOO regularly breeds as the only one in the world in the temperate zone; it is also notable for rearing dozens of cubs of pelicans and flamingos and breeding of red pandas, antelopes, maned wolf, Pere David's deer, ostrich rhea, etc. 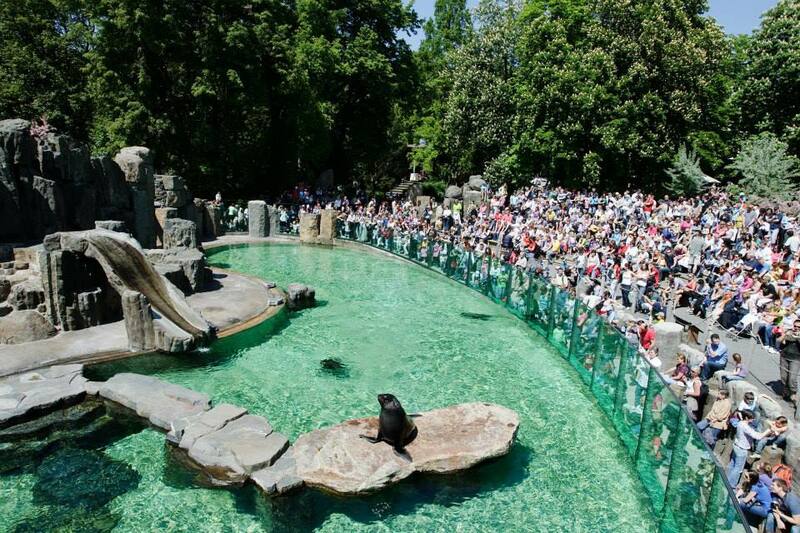 Floods in 2002 affected the Prague ZOO in an extreme way. Water flooded the whole lower part of the garden and within a few hours over 1,000 animals, including 750 birds, 150 reptiles and over 100 mammals had to be evacuated. Water caused enormous damages and unfortunately some animals died. 80 birds, 9 mammals, including an elephant, two hippos, 1 gorilla, 1 lion, 1 bear, 1 seal and 2 Liberian Pygmies Drowned or had to be euthanized .The damage to property was estimated at CZK 125 million.